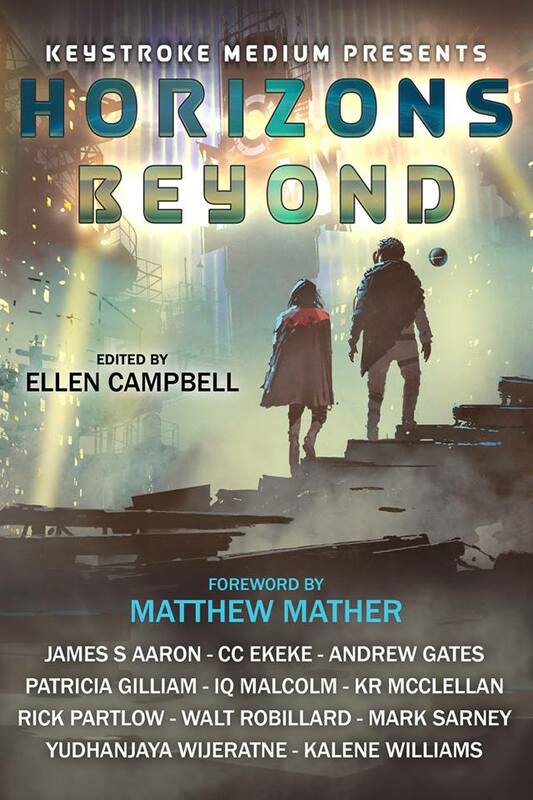 I am thrilled to have been selected to be part of the Near Future Anthology, Horizons Beyond, presented by Keystroke Medium, and edited by Ellen Campbell. My short story, I Am Christopher will appear along side ten other great short stories set in the next fifty years of the future. The anthology should be out this Spring, though no hard date has been announced. This will be my first appearance in an anthology, and I am beside myself with excitement. Please Join my Email List for Updates. I will not share it with anyone, I promise. k.R. McClellan is the author of the kDira’s World Chronicles, Nora’s Ark, and most recently Johnny Rocket and the Beautiful Six. You can check out his books available now on Amazon.com.